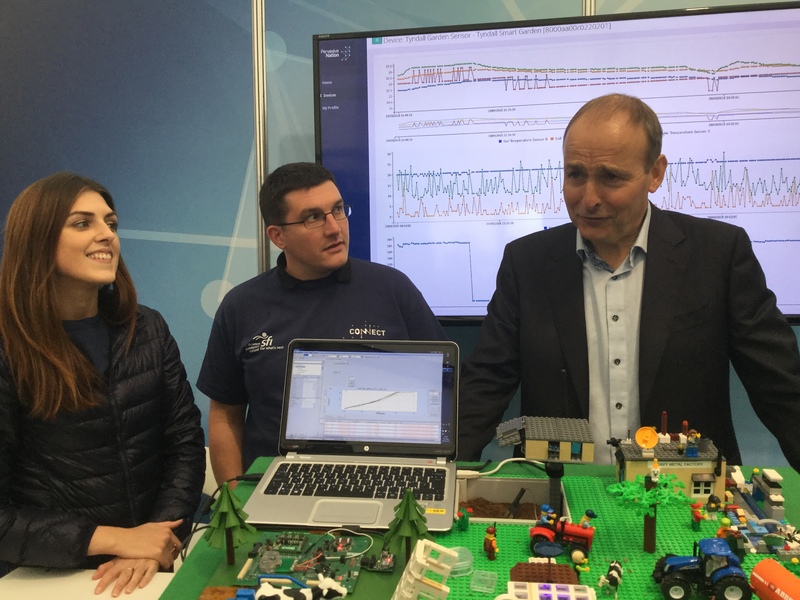 Mr Micheál Martin, T.D., with Niamh and Pierre at the CONNECT demo. 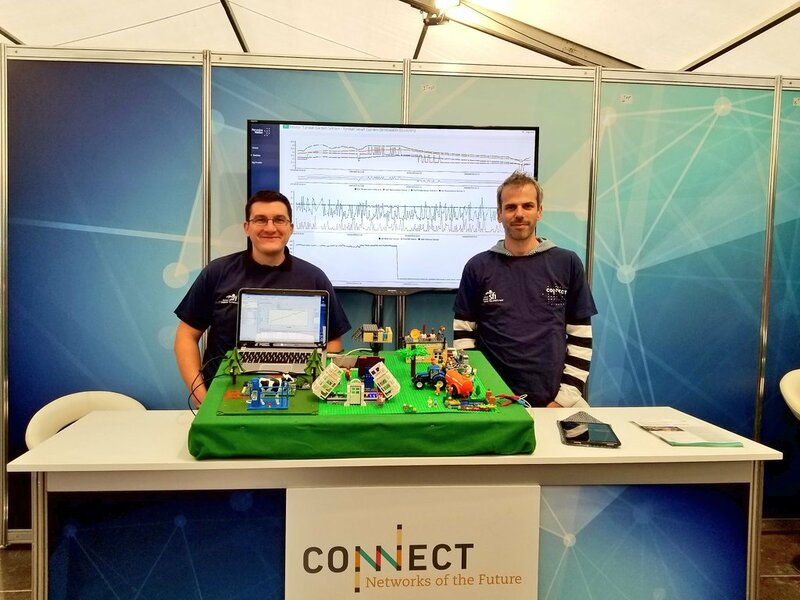 A team of CONNECT researchers from Tyndall National Institute in Cork presented a smart farming demo at the 2018 National Ploughing Championships in County Offaly. The goal of the demo was to generate conversations around the use of sensors in agriculture. 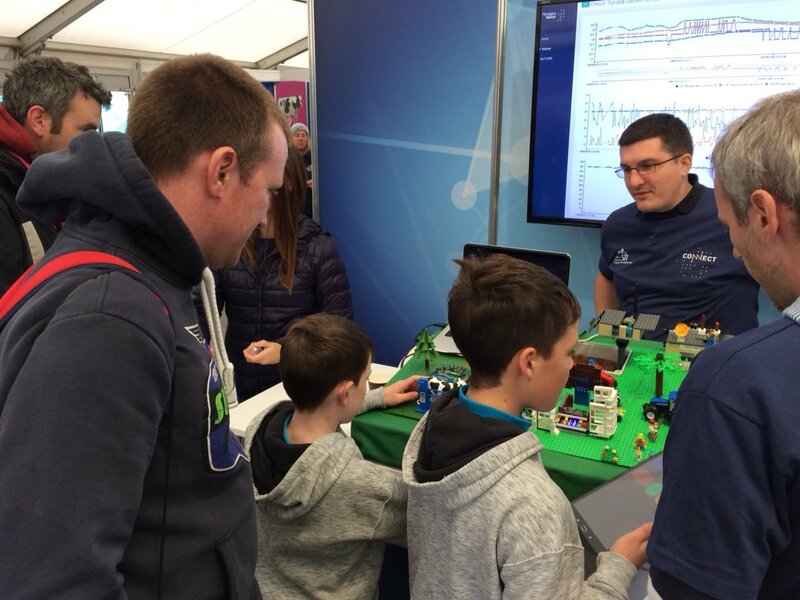 The lego farm included soil temperature and soil moisture sensors, and disease detection diagnostics for mastitis. Visitors to the stand included Minister of State, Seán Kyne, T.D., and the leader of the parliamentary opposition, Mr Micheál Martin, T.D. The CONNECT team included Ré Ó Cinnéide, Dr Niamh Creedon, Dr Dimitrios Zormpas and Pierre Lovera. 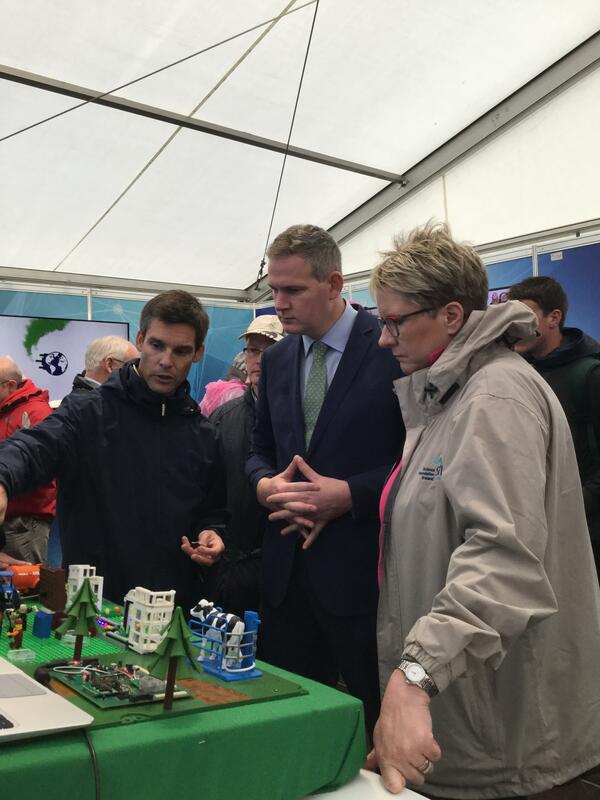 Minister of State, Seán Kyne, chats with CONNECT's Ré Ó Cinnéide. 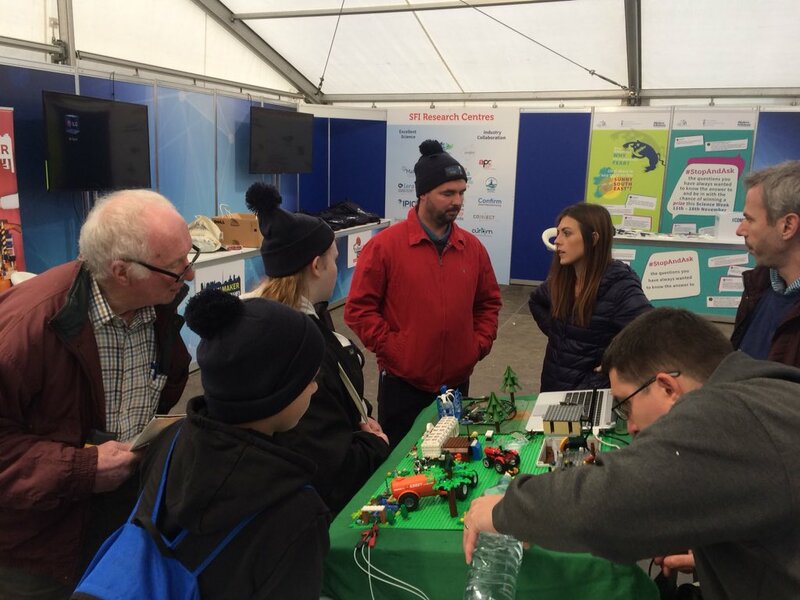 Some of the crowds at the CONNECT smart farm Lego demo. Lego is always a big hit with children! Pierre (left) and Dimitrios at the smart farm lego demo.